401k Fiduciary Outsourcing: Does it Actually Increase an Employer’s Fiduciary Liability? Trone is not in favor of the DOL’s fiduciary proposal. During his testimony, he said “over the last 15 to 20 years, fiduciaries have stolen more money from investors and retirement savers than brokers.” He went on to say the DOL’s fiduciary proposal would not have stopped Bernie Madoff, the infamous Ponzi schemer. I don’t believe the Madoff analogy is fair or accurate. Why? Financial advisors (with discretionary investment decision-making power under ERISA 3(38)) generally lack the authority necessary to abscond with 401k plan assets. Discretionary plan administration authority is required to approve asset transfers or distribute 401k plan assets. Generally, the 401k plan sponsor (usually the employer) alone holds this power. Some 401k service providers are looking to change that. They sell complicated products – most notably, Multiple Employer Plans (MEPs) – that assume fiduciary responsibilities related to plan administration from the employer. 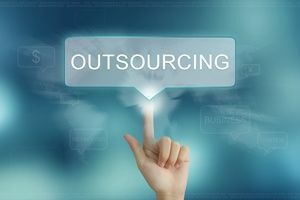 They say these fiduciary “outsourcing” products reduce fiduciary liability for employers. I say they increase it. When an employer hires a 401k service provider, they have a fiduciary responsibility to monitor that provider for job performance. Employers should make this job as easy as possible for themselves by selecting service providers with clearly-defined services and fees that are easy to compare provider-by-provider. When a service provider has fiduciary authority, employer monitoring of that provider is even more important. Why? Because fiduciaries have discretionary authority, which can make it easier for the provider to hide poor performance, conflicts of interest, or even malfeasance. If this happens, fiduciary liability for the employer can result. In just about every respect, MEPs are more complicated than 401k plans sponsored by a single employer. Since more than one employer participates in an MEP, more plan trading occurs every day, increasing the likelihood of trade or reconciliation errors. MEPs are also subject to special IRS qualification requirements and generally require a complex fiduciary hierarchy to avoid conflicts of interest. To offset this complexity (and its inherent risks), an employer should receive value in return. MEP providers claim two primary advantages over single employer 401k plans – low cost investment buying power (due to “economies of scale”) and the ability to delegate certain fiduciary responsibilities (including plan sponsorship) from the employer to MEP fiduciaries. There is a problem with each of these claims. 401k plans do not need scale to offer low cost investments today and a MEP’s complex fiduciary hierarchy can make it difficult for employers to monitor MEP fiduciaries for job performance. In 2013, Matthew Hutcheson was sentenced to over 17 Years in prison for misappropriating $2 million of MEP assets for his personal use. How did he do it? Hutcheson was an ERISA 3(16) plan administrator to the plans he swindled and had full discretion over administrative, management and other fiduciary duties. While the Hutcheson case is an extreme example of outsourced fiduciary abuse, I think all employers can learn from it – it illustrates the degree of abuse possible when discretionary plan administration authority is delegated to service providers. In my view, 401k fiduciary outsourcing products are a bad deal for employers. They don’t reduce fiduciary liability, they increase it due to a more challenging monitoring responsibility. These products aren’t necessary either. A qualified service provider can make it simple for employers to meet their fiduciary responsibilities with some basic “best practice” guidance.